When you make a new series, you can do pretty much anything. There is no established world or lore you need to keep in line with, and you are free to make your own characters. You can do anything for the most part since you’re not locked into keeping the game the same. When basing a title off of a well-established series, however, you know you need to improve it somehow. You have to take the good from previous games, use more modern controls and make something better. Natsume was put into a pretty interesting position when they decided to keep the Harvest Moon name and use it on their new series. If you’re confused over the Harvest Moon/Story of Seasons hooplah, check out our article that goes into detail. For now, let’s get into my review. One of the first things I noticed in Harvest Moon: The Lost Valley was the highly mismatched art style. Like I’ve pictured below, the ground and movable blocks you can farm on in the field look completely different from the mountains surrounding the play area. Not only that, but the characters’ bodies, the buildings and the world itself are on completely different scales of height and size. Combined together, these individual pieces make the game feel uncomfortable to look at, and this doesn’t help with immersion since small things like odd body proportions and the weird height of movable blocks make the game feel more like a badly put-together puzzle than a cohesive game. Here you can see the mismatched art style. The chunky cubed look for the ground and the smooth mountains behind that. When the game loaded, I noticed a lot of graphical pop in from things like trees and rocks. I’ve never seen pop in on a 3DS game and, considering it did it in a cutscene and then in the actual game while I was playing, it seems like The Lost Valley was rushed out. Considering the size of the game (around 700 blocks if you download it from the Nintendo eShop), it’s not like the game is so heavy and bulky that there should be a problem with everything being able to load. When graphics are popping in on a pre-rendered cutscene, that means there couldn’t have been enough time and effort put into making sure the system was polished and just makes the game feel rushed. There are other things that make me feel this way, but there shouldn’t be a problem with pop-in on a 3DS. You can always say with the amount you might have on screen, one or two trees suddenly popping into existence isn’t terrible. However, by the same logic, Super Smash Bros. 3DS should have tons of problems and run way worse than it does. The Lost Valley has way less on the screen, but gave off the impression of the system struggling to handle the rather low-res graphics. Poor optimization is the issue here. While most older Harvest Moon games have had five marriage candidates minimum, The Lost Valley only has three, and I didn’t like any of them. Usually, after playing the game a while, I find at least one love interest I like enough to marry just to experience the marriage and child mechanics. Not only did I find the marriage candidates grating, the process of completing their quests was very annoying, as well. 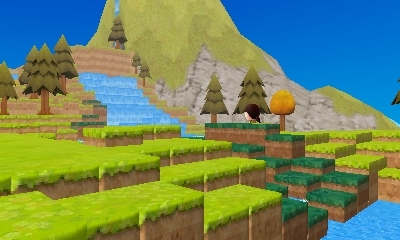 In The Lost Valley, there is no village or central hub. Villagers mention they live in the nearby town, but the player character can’t go there. You’re stuck at the top of your mountain with your house and the playable area. There is no shop, just a mountain man who seems to have absolutely no life since he hangs out right outside your house and offers to sell you things every single day of the week. The same things apply for the restaurant owner and the flower shop owner. They supposedly take the day off from running successful businesses in their village and walk all they way up to the top of the weird mountain that was winter for who knows how long just to sell you things. Not only that, but when these villagers decided to walk around the playable area, you can’t turn in quests that advance the story and unlock new things like recipes, new items and more plantable seeds. What that means for the player is that you have to wait a whole week sometimes for a certain character to appear right outside your house so you can turn in a quest or advance the plot. This is the main crux of why I said this game feels rushed at best and lazy at worst. Between the character models not matching the world aesthetic, the marriage candidates who seem one dimensional and unlikable and the wildly out-of-sync quests in proportion to the story, this was a very hard game for me to make myself complete. Speaking of the marriage candidates, I feel like this was an area The Lost Valley really let itself down. When I think back on the many Harvest Moon games — games that Natsume translated and published — I remember a lot of memorable characters — characters who made me want to play the game again so that I could marry someone else the next time. There have been multiple times where I couldn’t decide between the cute girls and guys in Harvest Moon games and courted them all only to decide at the last minute who I wanted to marry. If this sounds like something you can relate to, prepare to be disappointed. I ended up not getting married for the first time ever in a Harvest Moon title. None of the six possible marriage candidates were interesting at all in the game. They were all cookie-cutter marriage candidates whose personality could easily be summed up in five words or less. By cutting the town out of the game, they cut the heart out, as well. It makes the people hard to relate to when they stand around in the snow for hours outside of your awkwardly-proportioned house on the top of what looks like a massive mountain. While I hesitate to compare it to previous Harvest Moon games, since they were made by completely different people, it’s a comparison I have to make since it is still a Harvest Moon title. 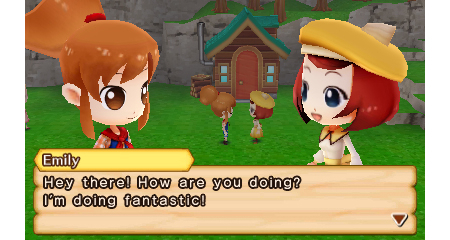 While it might be Natsume’s first Harvest Moon game, you can’t have the legacy of the name without the expectation. This is after all why Natsume decided to keep the name, because people associate Harvest Moon with an engrossing and fun game that was full of interesting people you can’t wait to get closer to and a large farm you had to juggle with getting to know the townsfolk. One of the few things I don’t have an issue with in this game is the music. It’s not amazing, but it is functional and does a good job of letting you know what season and time of day it is just by hearing it. Like most Harvest Moon games, it gets a hair annoying after a while, since both you and the game settle into a bit of a routine. That isn’t saying the game is all bad, but even the things I want to praise, like the new farming system, are followed with “buts.” I like how the location of where you plant things in the world, such as at different heights, different seasons, near water or not, changes what kind of crop might grow from your seeds. However, this is trial and error in the worst possible way. One of the first quests you get is from the Harvest Goddess who asks for three Savoy Spinach. The game doesn’t tell you how to get this special type of spinach. It doesn’t give you any hints at all. So, you hit a brick wall almost right away where it wants you to do a thing, but doesn’t tell you how to do the thing. You will more than likely try over and over, planting spinach everywhere, spending all your money on seeds without realizing it’s completely pointless. It was only after I looked it up that I found out how to do it. The game never teaches you that you need to dig below water level to plant some crops to get them to morph into what you need. As it is, I needed to wait a whole in-game year to complete one of the first quests you get. How does that make sense? Another character wanted me to get him a special kind of feed, but I had no physical way to get it since the game hadn’t unlocked the windmill for me yet. Speaking of new features, the ability to change the playable landscape was added to the game, and with it a ton of problems that no one thought to consider deeply before going live. You use your shovel to dig up dirt or place it in the world. The catch (because there is always a catch) is that you can only dig or place blocks one level above or below you and you can only jump between three levels. While this doesn’t sound terrible, add to that the limit on materials you can store, and you have yourself a tedious and time-consuming system. I’ve noticed that a lot of people are absolutely amazing in the things they can make, but, for me personally, I’m not good at it. The fact that the game makes you use the system is annoying at best for me and very off-putting. I’m sure you’re sensing a pattern by now. I haven’t said one nice thing about this game that isn’t countered by something bad. 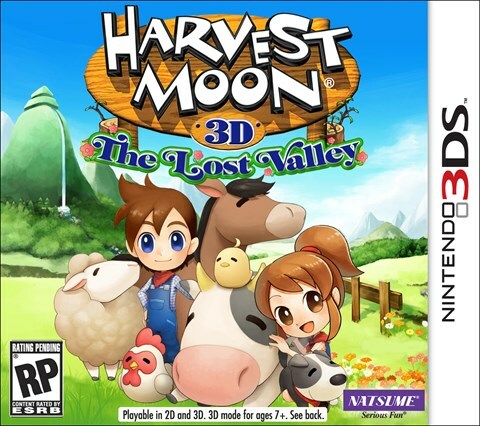 Personally, if you’re a long-time Harvest Moon fan, I would skip The Lost Valley. 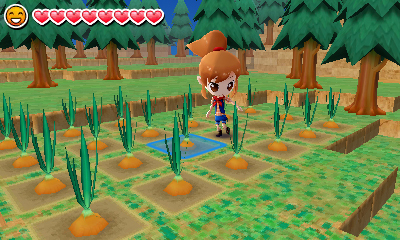 It’s even less well thought out than Harvest Moon: Grand Bazaar. I can’t really think of a situation to recommend this game, either. Even if you’re a casual gamer who finds joy in monotony, I think you might still be disappointed. For me, this wasn’t much of a let down since I wasn’t expecting too much, but, considering I had to spend $34.99, I’m not too happy, either. If you were on the fence about Harvest Moon: The Lost Valley, I’d say just wait for Story of Seasons to come out or pick up Rune Factory 4. Unless this game gets a patch in the form of DLC along with new content, I just can’t recommend it as it is. It doesn’t feel like a fresh new Harvest Moon. It feels more like Harvest Moon: The Checklist — the very basic idea of what makes a Harvest Moon game without any of its heart or soul. Farming: check, people: check, Harvest Sprites: check. I can feel the pocket protector that came with this checklist, and it’s cold and bitter — just like the snow the villagers stand in around your house for no reason. Avid video game player and nerd extraordinaire. I play games and give people my opinions about them, sometimes while on the subway wearing a tin foil hat and sometimes on the internet! I also stream video games with help on Twitch! How thrilling!